Are You Ready to Enjoy the Golf Course in Frisco Lakes? The Betty McKean Team has listed and sold more homes in Frisco Lakes than any other realtor. We’ve been helping clients buy, sell, and invest in this beautiful community since the beginning. The Golf Course in Frisco Lakes is only one of many attractions in this exciting neighborhood. As your neighbor and your realtor, we have a vested interest in moving you into your dream home – and your dream lifestyle! 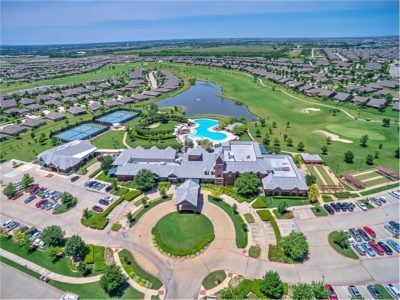 Located along the northern shores of beautiful Lake Lewisville in Collin County, Frisco Lakes has become a highly sought-after community for Active Adult 55+ Living. With three amenity centers, including both indoor and outdoor pools, there is no shortage of activity level for everyone. Frisco is home to The Star, headquarters of the Dallas Cowboys, and the location of great shopping and dining. Residents of Frisco Lakes have easy access to all the area has to offer, including fabulous urban retail/dining/entertainment spots like The Shops at Legacy, Stonebriar Centre, and Legacy West. For more exciting information on living here, including access to the fabulous Golf Course in Frisco Lakes, please call us at 972-588-8905.